Our Learn To Sew Online Courses Really Do Work! Our Online Sewing Classes Really Do Work! Look no further. You have found the best Learn To Sew online resource there is. 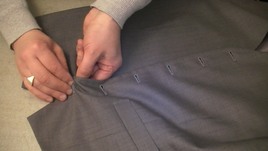 With the help of our online sewing classes you will Learn To Sew - fast. Learn To Sew at your own pace with hundreds of sewing tutorials at your disposal. You will be amazed at how good the sewing guru really is….. Happy Sewing! 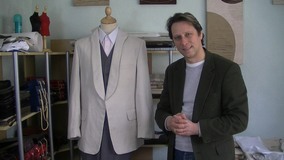 This online tailoring course bundle will teach budding outfitters the tricks and tips of making garments. 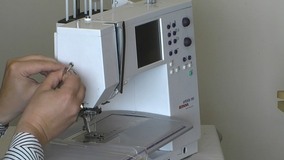 Full access features more than 450 videos, as well as downloadable manuals and patterns detailing the basics of sewing. 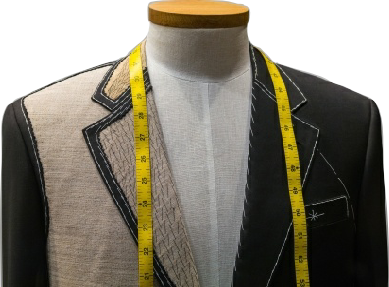 Learners will pick up racks of information on needlework, making accessories like cravats and ties, making jackets and waistcoats, repairs and alterations, and pattern designs. Learn to sew online? How can I learn to sew online? You may ask. This is a question that is asked of me a lot while being a tailor. Most people would immediately think to learn sewing is done in a sewing school, at college, a fashion design course or a privately run sewing class which you physically attend with the help of a sewing teacher. You would not realise that you can actually learn to sew on the Internet and can be the most effective way to learn the skill of sewing and tailoring. Sewing online, the new way of learning. You may still be a little confused but let me explain. My first day of college was very exciting to me, the world was my oyster and learning all things related to sewing and tailoring was finally go to change my life, well I didn't realise how difficult a road this was going to be for me . 1. 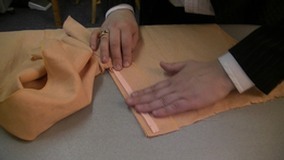 The sewing teacher calls the class up to the front and demonstrates a sewing technique. 2. The class return to there seat and practice the sewing technique. 3. The sewing teacher wanders around, making the odd correction but because of the time constraints and sewing class size, they cannot attend to everyone’s needs. 4. The sewing class finishes and you have a rough idea of the sewing technique, but you don’t really get it. What you would need is to practice the technique that was just taught to you but what happens if you forget, what do you do next, well you would need to wait till you attend that class again in the hope that you grasp the technique this time. So its incredibly difficult to really master the sewing basics and without the basics you cannot hope to make good quality items. Our tried and tested system works so well that once you grasp the concept you will never explore another way of sewing again. So what is the sewing guru system? • Our system helps you become a sewing pattern expert. Pattern construction can be daunting and hard to understand. Not any more, we will show you how. 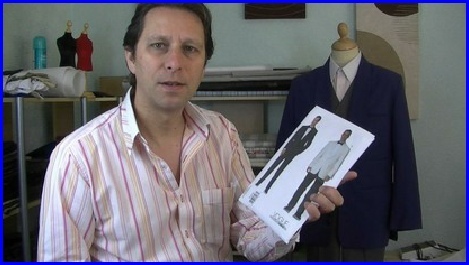 Our system works with any pattern and design of garment that you wish to make. • Our system helps you become a sewing expert. Now it is up to you to decide. Sign up today and be prepared to be amazed at how easy it is to learn sewing, tailoring and pattern construction. The World Of The Sewing Guru! 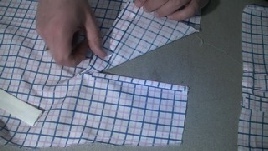 Let us introduce the easiest method in learning to sew available on the Internet. 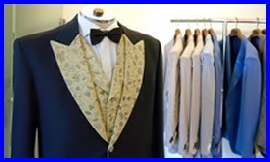 Welcome to the world of online sewing and tailoring, welcome to The Sewing Guru. 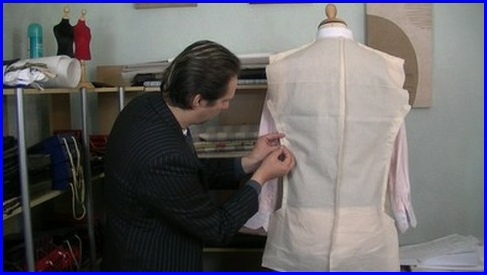 The Sewing Guru is an online sewing course that is available to you when ever you need it. 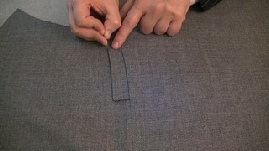 The concept is simple, Watch, Learn and Sew. Think of our sewing classes like having a sewing teacher by your side at all times whenever you are sat behind your sewing machine. 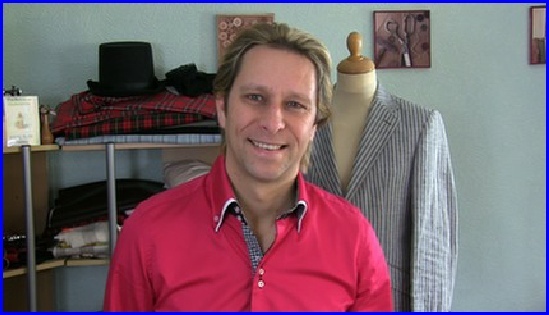 Michael, your host at The Sewing Guru will teach you the methods and techniques in sewing in order for you to create fabulous garments for your self. 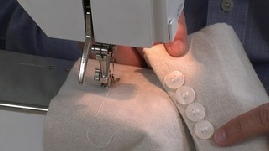 Our online sewing lessons are the best way to learn to sew. 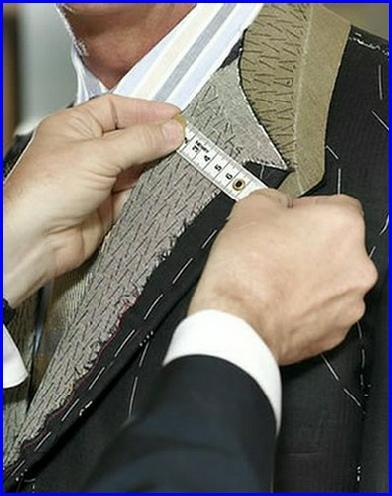 Like any garment that is created, the first step is to follow a set of measurements. This is done with a sewing tape measure and as tape measures are bendy they can easily measure any contour of the body or another garment. 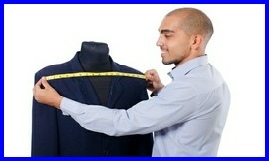 This first step is imperative in getting the correct size that you want your garment to be. Step 2 - Note down your measurements. 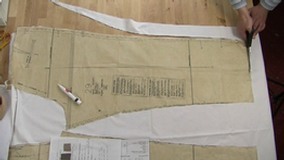 The second step is to take a note of all the body measurements needed for the garment that you are going to create. 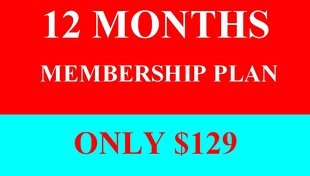 There is a downloadable measurement sheet on our website for members only that you can print out and use. 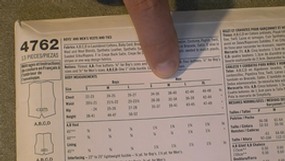 The measurement sheet becomes a great point of reference for yourself. Step 3 - Purchase a commercial pattern. than starting a pattern from scratch. For example if you created a pattern from scratch and had to design every single piece and manipulate them so that they all fit together, this would take days, if not weeks of work to get the same result as you would if you first purchased a commercial pattern. Yet you would still be in the same position as you would before you created your toile to see if everything fits (including ease around all parts that need movement). This is why we came up with The Sewing Guru concept so that learning and understanding pattern construction and manipulation is much easier and more enjoyable to learn. At the end of the day you will always end up with the pattern that you want that is unique to your size. The pattern manipulation comes into play in the next step. 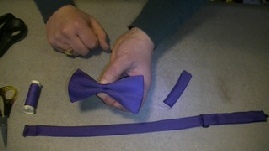 Step 5 - Create your garment. 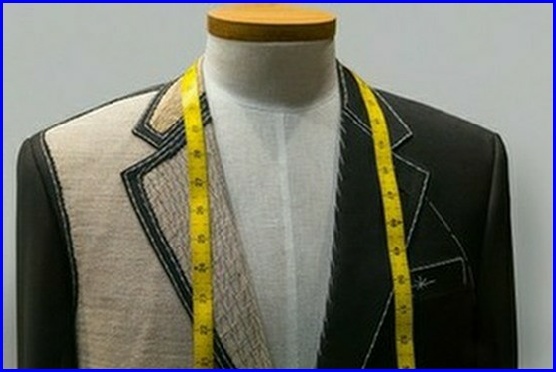 In this final step you will now create your actual garment. The sewing collections within the members section of the site walk you through step by step of the garment creation. This is where “learning to sew online” comes into practice because that is exactly what you are doing, learning to sew your own custom garments online. It really is the easiest way to master this art as everything is visual with the help of the videos. We take you through every step with nothing left out from the very start (from step 1) to the end. Step 4 - Create a garment mock up. pattern that you originally purchased. The paper pattern that you first started with is just a guide to get you started as it saves a lot of time and work rather than making a pattern from scratch and as we stated in step 3 this is a great way to familiarise yourself with pattern construction process. By reading this synopsis regarding learning to sew online, we hope that you now have a better understanding into the world of online learning. If you are still not convinced and prefer the physical sewing class then why not try both. You would then have the best of all worlds, learning at a sewing class and having the social side of it and the benefit of going over a sewing technique whenever you need it online. We know one thing, you would definitely benefit by having both at your disposal. 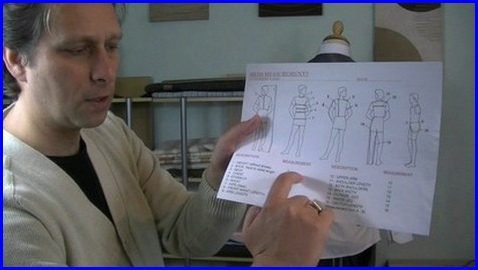 If i could just put down the essential skills required to master the fundamentals of sewing and tailoring techniques in a simple to follow format. I could help all my customers achieve there desired goals. No more sitting around sewing classes, struggling to remember the technique that’s just been shown. My sewing videos, you can pause, rewind and watch as much as you wanted……. But how to do it? There was one clear goal in mind – the sewing lessons had to be easy to follow, informative and teach you the techniques of how we create garments in the sewing or tailoring industry. The Sewing Guru, 9 years in the making! 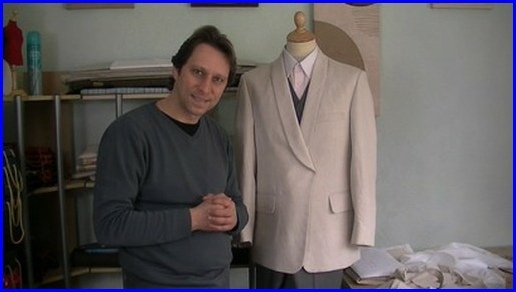 I set to creating The Sewing Guru a sewing tuition and tailoring site teaching you how to create garments from scratch in a step be step sewing video format. I also created a complete sewing course for the beginner and advanced sewing lessons to teach you the basics in sewing and tailoring and to give you the confidence in the world of sewing. The Sewing Guru is like having a sewing teacher with you when ever you need them. Now 4 years on, I have created hundreds of sewing videos and completed 16 sewing video collections along with a beginners sewing course and a sewing machine course. The Sewing Guru will continue to grow with more sewing lessons and techniques to every eventuality in learn how to sew. Well this is my story and hope that you have enjoyed it. Below is an overview of the Sewing Guru site. The number one online sewing course and the easiest way to learn how to sew.. This didn’t stop me from trying though, i practiced sewing on my own but the results weren't pretty…. Gradually, though, things changed. Each day of sewing i got better and better. My sewing techniques improved, my sewing skill was refined, and the quality of the clothes i made went from home-made to professional. I finished the sewing college after 6 years of study and graduated successfully and then set up the first of my tailoring shops. Something more remarkable happened. Shortly after and i had a life changing revelation…. 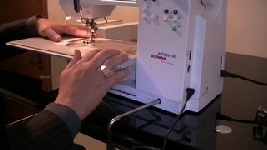 Sewing lessons online. Learning to Sew Can Be Easy. Why should learning to sew be so difficult? This is a question that plagued me all the way through college and my career as tailor or giving sewing lessons or sewing tuition. Customers would ask me what the best way to learn how to sew was, and in all good conscience i couldn’t recommend any sewing classes, tailoring classes or good sewing DVD’s because i wanted them to have great results quickly and not spend years trying to master the basics of sewing techniques. This got me thinking – how i could help them how to sew and then i “got it” One evening i was watching Gordon Ramsay (celebrity UK chef and restaurant owner) teaching people how to cook on television. He was at home, in his kitchen, going through all the techniques you need to make his own dishes….. And that’s when it struck me……Teach how to sew in a visual way. No problem, take our exclusive beginners & sewing machine courses designed to introduce you into the world of sewing. learn the basics in sewing in a step by step format to gain confidence in this fantastic pastime. 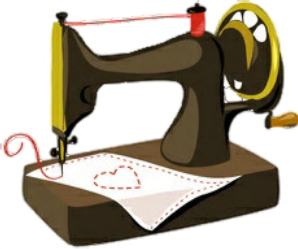 Great Value - The beginners & Sewing Machine courses are included in the sewing guru Bronze membership. 7 Reasons Why Our Sewing Classes Really Do Work! We Start from the very beginning, no confusion just an easy learning structure! Are you a Beginner or a professional? No Problem, we cater for you! 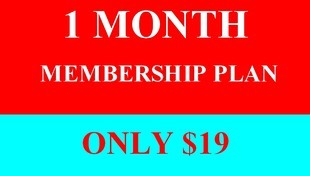 Our Step by step learning format is unique to us and guarantees results, Fast! Every video lesson is designed for easy learning. Watching is easier than reading, Right! We are mobile friendly! Take your sewing lessons with you and Learn Anywhere, Anytime! Sew in the comfort of your own home. We are always there when you need us! So why would you join our online sewing course?